BG9 is a Quincy and a member of the Vandenreich's Stern Ritter with the designation "K". 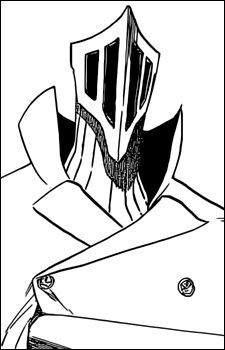 BG9 is a tall individual who has a mask which covers his entire face and extends behind his head. At its front, the mask has a peak at the centre and slits on both sides of this. He stole Sui-Feng's bankai during Vandenreich's first invasion.